Just like the water that is ever so present in her music, Amber Bain is a force of nature. 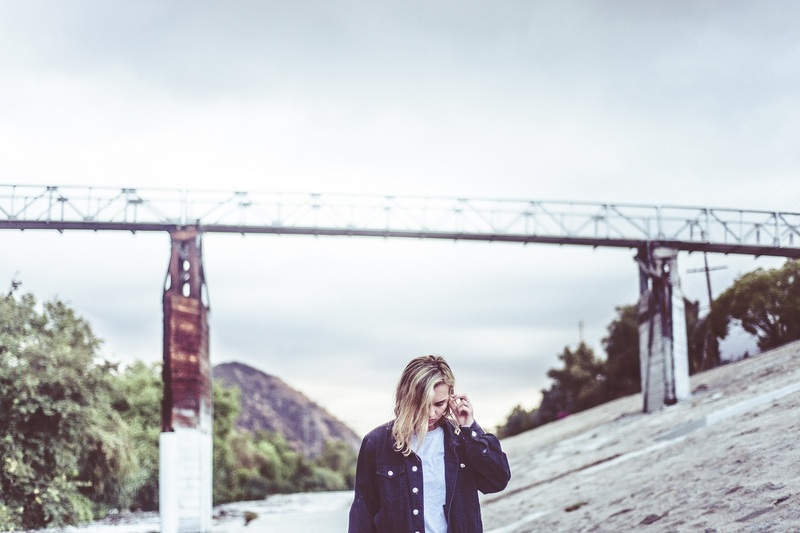 From her debut single “Still,” released last year, to her latest and third EP Swim Against the Tide (11/11/2016 via Dirty Hit/Interscope Records), Bain has proven able to craft intricately produced, transparent, and incredibly moving songs over and over again. But at the same time, Bain is not one who necessarily enjoys being in the spotlight, having unintentionally kept her identity a secret at the start of her career because she “hate[s] having [her] photo taken.” This dichotomy is what makes The Japanese House so unique – when you fall in love, you fall in love with the music: the layered vocals, ethereal and haunting synths, infectious guitar riffs – whoever is behind it is a mystery you uncover later. 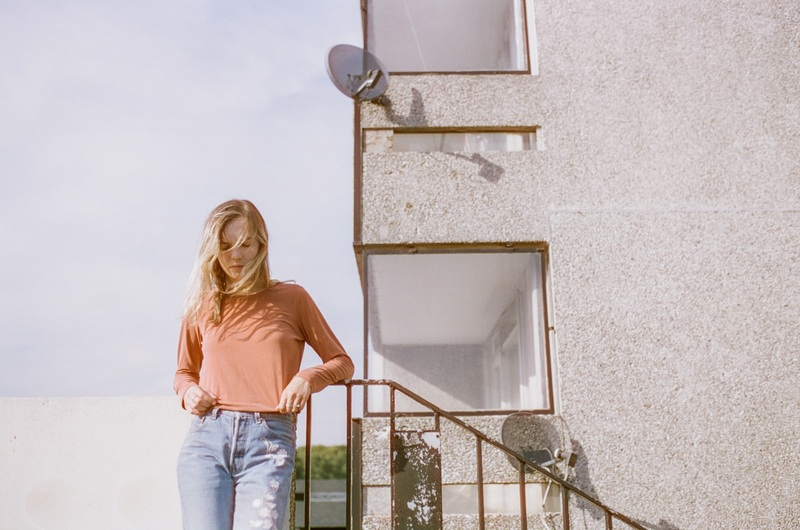 After going on a worldwide tour supporting The 1975 and playing Reading and Leeds Festival this year, Bain is back with her new EP Swim Against the Tide, where a new side of The Japanese House is revealed – a lighter, more upbeat one, but just as introspective and raw as her previous two EPs, Clean and Pools to Bathe in. Atwood Magazine had the chance to chat with Amber during her UK tour right before the release of the EP. Check out what she had to say below! Atwood Magazine: Hi Amber! How are you? Amber Bain: I’m good thank you, how are you? I’m great! How has tour been? AB: It’s good. We’re in Glasgow at the moment. We got a run of eight shows in a row so I’m pretty knackered, but still going strong. So, ever since “Still” was released, you Amber Bain have been gaining much more recognition. 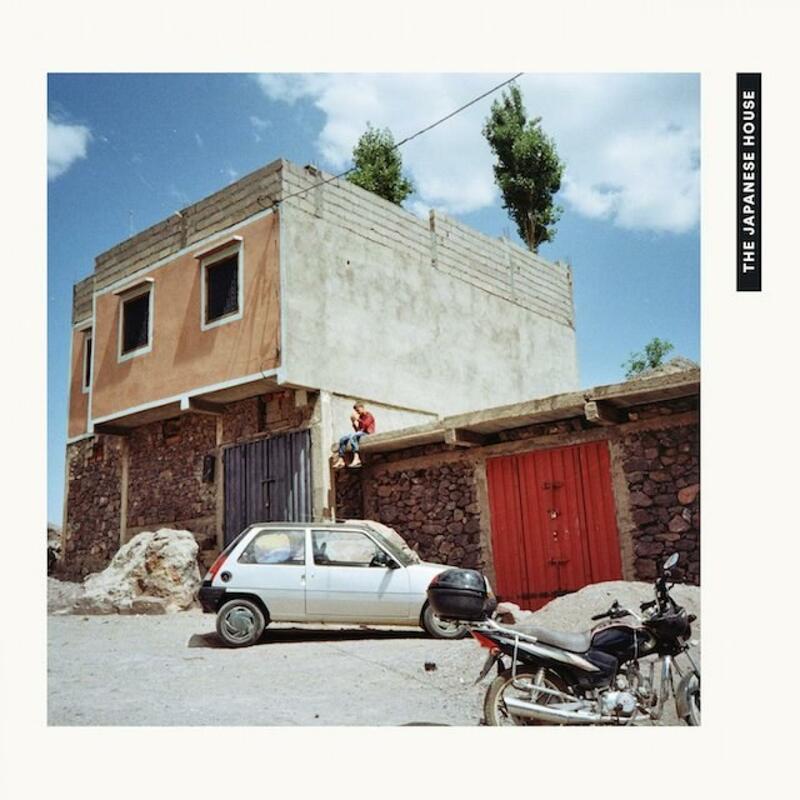 The initial mystery of who is the person behind The Japanese House is gone, especially since you’ve been on tour for a large part of the year and performed at huge festivals like Reading and Leeds. How do you feel about this recent exposure? AB: Yeah. I feel good about it because it means more people get to hear my music and I get to tour and keep doing what I’m doing, so I feel good about it. I guess that’s what happens when you don’t use your name and also you hate having your photo taken so you don’t have any photos, you kind of are under the radar of who is actually making the music, but now I’ve played live people know that I’m a girl, for example, and, I guess, know who I am. Well, not everyone in the world obviously. I went to The 1975’s show in Miami in May earlier this year and I distinctly remember you getting off the stage after your set was done to talk to a girl who had been very enthusiastic throughout your whole performance. Yeah, she was very intense. AB: It was intense! She was so sweet, I really liked her. It was a very funny show because there were seats right? And everyone was kind of sitting down, and when it’s still light outside and you don’t see the lights and it’s still quite early, no one’s drinking I don’t think, so people find it hard to loosen up. And she was just going crazy so I thought I’d go and give her a hug! Do you still find it weird when people have such a reaction to your songs? AB: Yeah, I do find it really strange. I mean, I don’t ever really want to get to the point where I find it normal that people react to you like that because it’s an amazing thing if people are like that because of your music, and get emotional. So I always want to stay in the mindset where that’s an amazing thing rather than just the norm. Your new EP, Swim Against the Tide, shows us a whole new side to your sound. I find it brighter and warmer, but just as ambitious as your previous EPs. What prompted this change in direction? Speaking of Swim Against the Tide, the self-titled and first song of the EP is your favourite one. Why is that? AB: Hm… Sometimes when you write songs you write it pretty quickly and it’s pretty clear to you where the direction of the song is going to go, and that happened with that song. It’s just a very emotional song, and I’ve only played it live like six times, on this tour, but I get quite emotional when I play it and that’s a nice feeling because it’s good when you connect with something you’re playing as well, it’s not just memory, you’re actually in the song. The music video for “Face Like Thunder” was different to all of your previous music videos. This one had a kind of loose narrative, you were shown more clearly and the production of the video itself was bigger. It’s absolutely beautiful. Could you tell me a little bit more about the idea behind the video? AB: Oh, thank you! Yeah, the idea I had primarily was to be a very loose narrative because when I have a song with a really strong narrative that’s when I want to have a music video that’s like a film. Imagery is really important and has a lot of effect on how you hear the song, so I basically wanted it to reflect my ideas of what I thought the imagery should be. So the song is basically, vaguely I guess, about a couple, maybe breaking up or maybe coming to the end of the relationship – maybe it’s a couple or maybe it’s two parts of the same person, I don’t know – going to this alien territory and they’re never quite in the same shot, when they are they’re walking away from each other, because they’re leaving each other. So it’s just about the end of something and how alone you can feel in that moment hence having it in the middle of a desert (laughs). Where did you shoot it? It’s such a beautiful place! AB: You know, actually I kind of want to keep it a secret! Because it’s a really weird place, I mean not a weird place, but you wouldn’t think you could get that kind of scenery there. So I kind of want to keep it a secret just to kind of back up the “alien space”, it looks like so many different places! It looks like Mars! If Mars had trees… and cars (laughs). “Good side in” is a song that really intrigues me. I love the duality in it: the verses are really dark but the chorus provides us with little specs of light throughout the song. And I love that we can hear a little more of your guitar playing. What is this song about? AB: Thank you! I wrote that when I was seeing someone and I was kind of unsure where it was going and I felt something change, maybe for the worst, and I was pretty much very in love and I felt something change and I didn’t really know where it was going and maybe it was because I had shied myself away, that’s where the lyrics “good side in” comes from, and didn’t want to fully open myself to the person like the lyric “I put up a fight it’s a light hit”. And then the last verse of the song, when I say “As she started to change I remained the same”, I’m actually in a relationship with that person now so it didn’t change for the worse, I actually wrote that verse about a year period or a little less than that maybe, I hadn’t written second verse lyrics so the second verse is kind of like a resolve of actually the other person managed to come around to the same way of thinking of me. Although the chord progression is quite dark, the second verse is actually a lot happier and it’s actually about being okay with waiting and good coming from that. I love the story behind “Leon” and how the song is supposed to be an epilogue to the movie. Are you often inspired by other external sources like movies, photographs? AB: Yeah. I think that was probably one of the only songs I have written, and I’ve actually sat down and said “I want to write a song about this”, so it rarely happens I can see that. I wrote that song before I wrote “Still” actually, so I was really young and I was going through a school breakup (laughs) like a teenage dramatic breakup and I think if you listen to it knowing that you can definitely hear it, for example in the chorus I think it’s kind of lost track of the whole Leon narrative and has just gone towards moaning about my relationship (laughs). Yeah, I like doing that but I don’t know, it rarely happens. The theme of water that was so present in your first two EPs is back on Swim Against the Tide. Do you know why water is so present in the world of The Japanese House? AB: I don’t, no! I think… I don’t know. I didn’t even realize that it was a prevalent theme until people started telling me after I released the songs so I was like “actually, I do talk about water quite a lot”. I think Swim Against the Tide is not about water, I think the lyric “swim against the tide” in one way is about that, there’s a long story behind the song which is basically the loss of someone you’re really close to, and but that song mainly is about just the feeling of losing someone in your life and how that’s similar to the feeling of a relationship ending, anger, loss, love, and heartbreak, are actually all intertwined in some weird way. As to the water thing, I don’t know I guess that just trickles in, if you excuse the pun (laughs), to my songs I don’t know why. Almost all of your songs are composed of a guitar riff and an electronically produced background. How does your songwriting process work? AB: Songwriting and production to me is pretty simultaneous. Sometimes I’ll start with a guitar riff, or sometimes I’ll start by making a cool synth sound and writing chords and starting a song from there. I mean this is probably the reason I don’t finish songs, really, until I decide I’m going to use them. And it’s usually me on a laptop fiddling around for hours on end, singing gibberish into the microphone to get a vocal melody and things like that and it kind of just falls together. Speaking of production, how was the translation from the studio version of your songs to the live performance? I try and keep the live stuff as close to the record as possible because I want to reflect the music that I write. So three of us just get into a studio and fiddle around and try and get the sounds right and then somehow manage to do it only three of us which is lucky for me (laughs). But yeah, it was quite hard at the beginning but we’ve found our groove, we know what to do now it was a lot easier than with the last EP getting things sorted. The Japanese House is very much your creation. The songs are all written and co-produced by you, you’re the one who takes all EP cover art pictures, etc and that is often overlooked. You’re a female force and voice in an industry that is predominantly male. Do you feel a certain pressure from or struggle within the industry to succeed as a woman? AB: Thank you (laughs)! I’ve never felt that pressure myself I think mainly because everyone thought I was a boy in the beginning, they didn’t know if I was a girl or a boy, what my name was, what I looked like, so that kind of first impression was completely genderless and imageless. I don’t know how it would have been if I’d been Amber Bain and my first EP cover had been a picture of my face. I do question sometimes, because a lot of people assume that The 1975 write all my songs and I just sing on them and play them live, and I wonder if that would still happen if I was a boy? If people would even question the fact that I can work a computer, do you know what I mean? It is a strange industry especially at the moment because there’s a kind of back fling from the other side which is what needs to happen in terms of the pendulum swinging the opposite way, and having festivals purely for female artists and things like that. Because it is a ridiculous thing that gender is a part of music. I mean, obviously if you’re writing as a woman about issues that affect only women, or a man about issues that affect only men, then it’s important. But in terms of the songs that I write, it doesn’t matter if a girl or a boy is writing them, or if they’re about girls or boys, do you know what I mean? And I hope it gets to the point where gender won’t be such of an issue which it seems to be at the moment. I completely understand. It’s ridiculous that people even care. You’re the one who personally shoots all your cover art for your EPs, so I wanted to know a little more about how you choose the place you’re traveling to to take the pictures and how you end up choosing the final ones. AB: I don’t know! First I saw some photos that I really liked by this photographer called Tom Kondrat that’s pretty cool, and I actually messaged him saying “where did you take them? Where should I go?” and he was like “I took them in Iceland” and sent me a list of places to go to, which is really kind of him. I should message him, actually! Tell him that it went well (laughs). Next I was in LA meeting some people and decided to take the photos and that ended up being the second EP. You know The Bigger Splash by David Hockney? I might be wrong about this, but I think in the wall behind there’s this pink colour and I thought “I like that kind of imagery and those colours” so thinking of places where I could capture that and I thought of Morocco, where there’s obviously a lot of pink, pink-ish houses and architecture. So yeah, whatever pops into my head. Finally, if you had to describe The Japanese House using five feelings, what would those be? AB: Five feelings. Oh. That’s a good question. Hm… Probably sad (laughs)… Sad, hopeful… Hm… Sad and hopeful. Those are the only ones I can think about, I don’t think I know any other feelings (laughs). I think there are elements of like – is resolve a feeling? AB: I don’t know if resolve is a feeling… Hm… And we got three more to do. Hm. What do you think? Hm… Maybe, not necessarily nostalgia but something similar to that. AB: Yeah, nostalgic I like that! And one more! Nicole, come on! Sad, hopeful, nostalgic, and resolve… Something like sensible, sensitive? AB: Yeah, sensitive. Definitely. Or you could just put emotional! Access Swim Against the Tide via Spotify and iTunes!